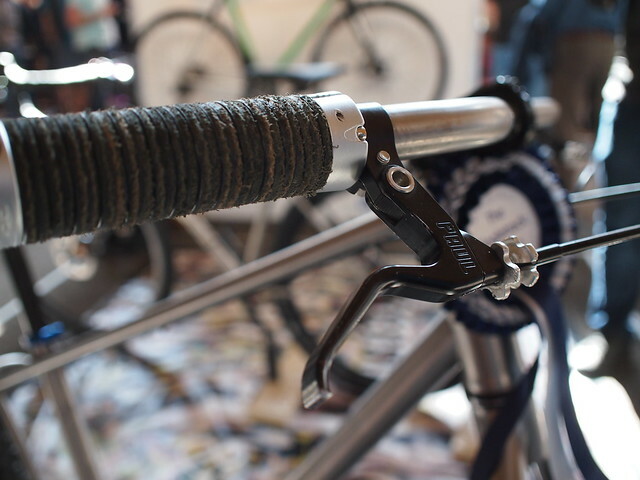 After missing it last year I was pleased to get to the Bespoked Show again this year. 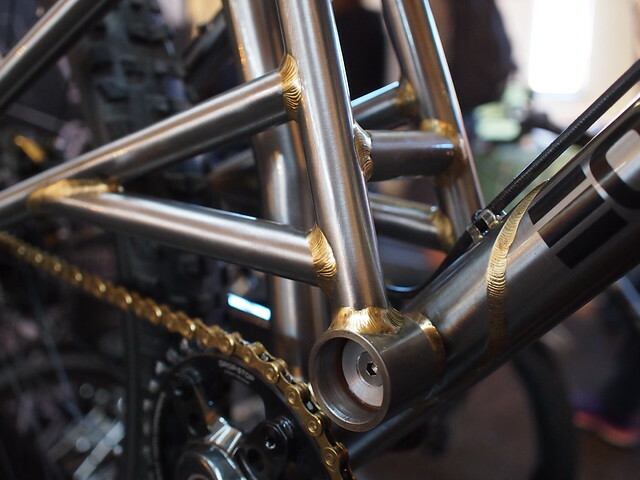 I always love seeing the craftsmanship and the amazing bikes that get put together to show off. 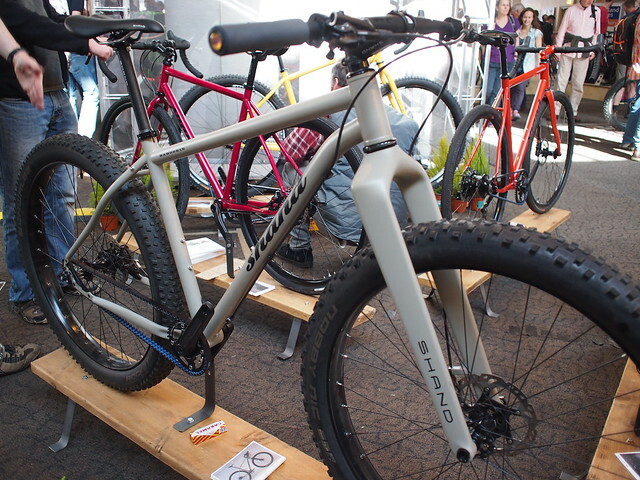 Fortunately, at least from my perspective, there were some lovely mountainbikes on display. 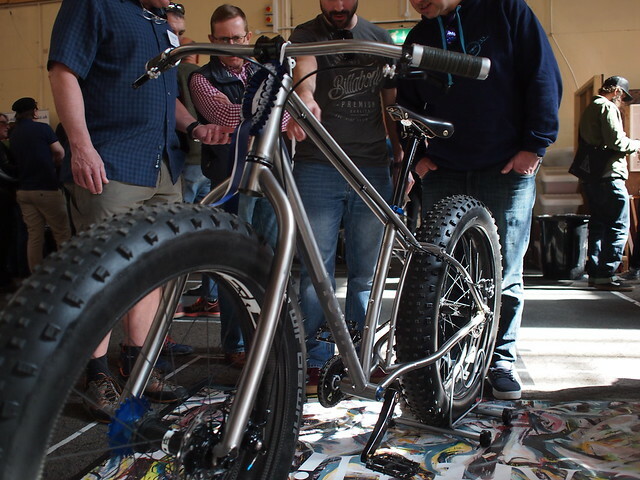 Also as “Adventure” is the current trendy term there were lots of adventure bikes, drop bar bikes with big tyres and lots of other bits and pieces associated with it. 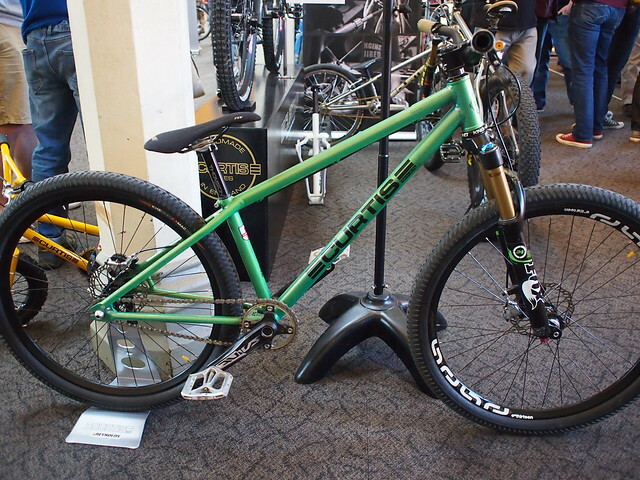 This BTR full susser was beautifully put together, a really awesome machine. 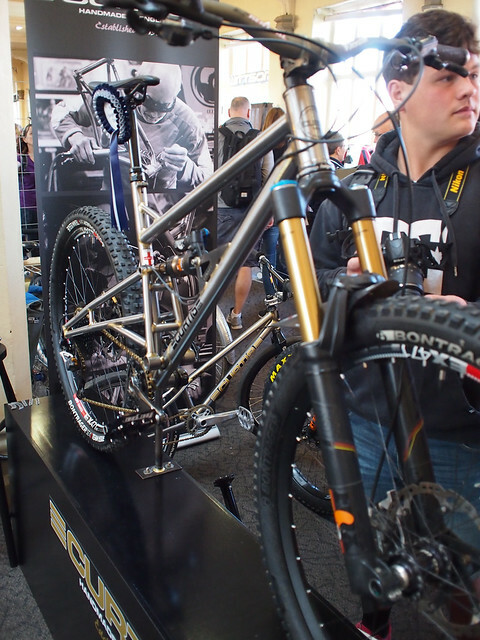 Shand Bahookie, both in flat bar and drop bar flavours…. 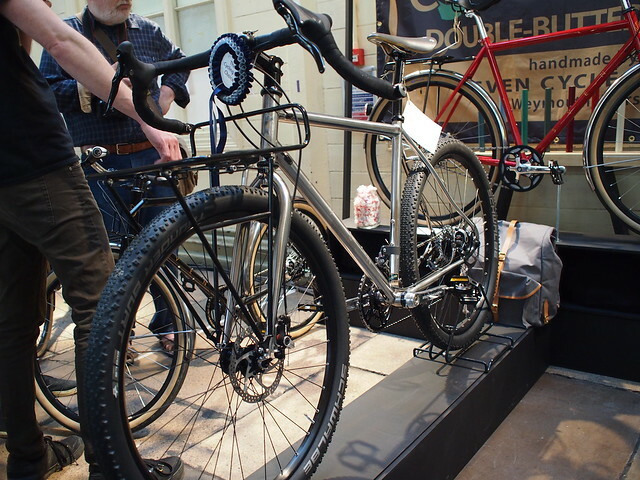 The drop bar one was belt drive Rohloff, I love this!! 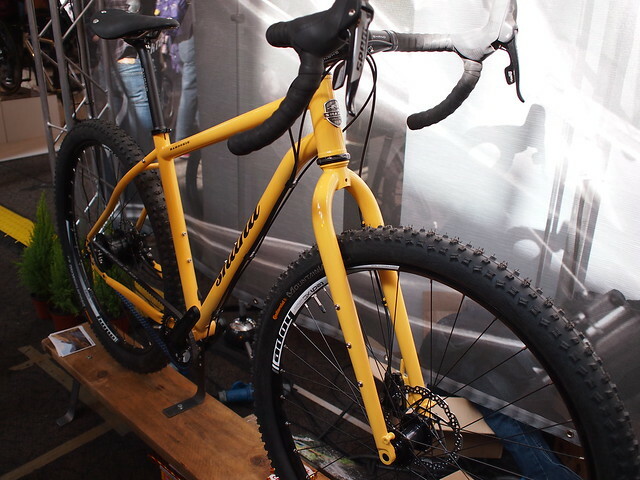 This fatbike was from the University of Iowa and had been used in various snow “ultras” in the USA. The front and rear wheels were the same width and could be interchanged if either had a problem. 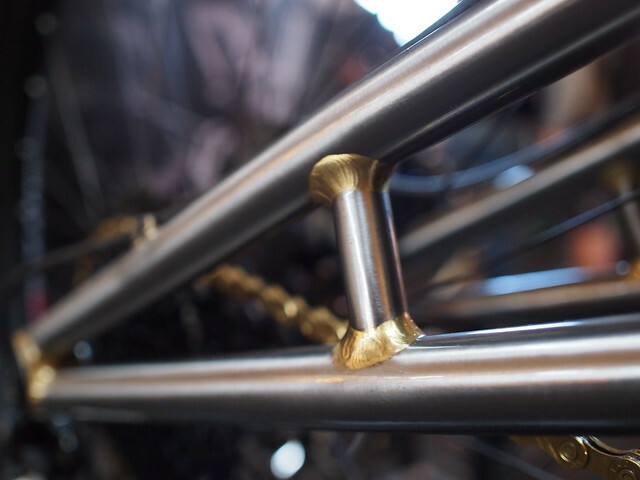 Curtis had a great selection of bikes there, I’ve always loved their BMX frames. 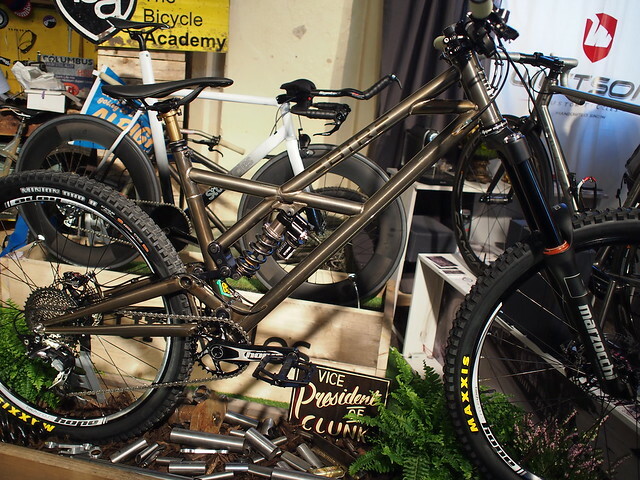 This jump bike was pretty sweet…. This full susser they put together for the show was just beautiful. 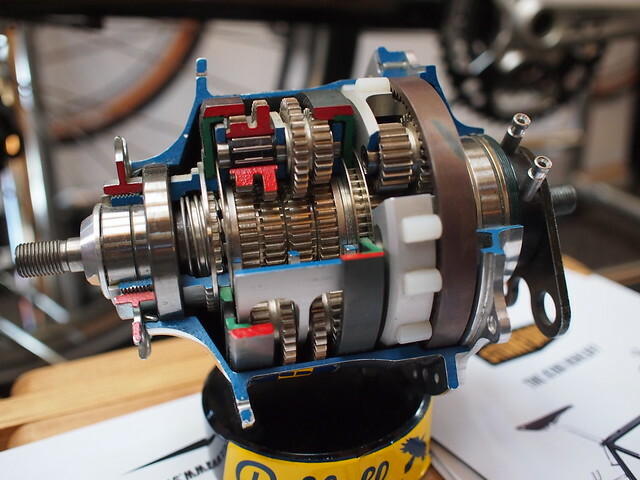 Have you ever wondered what the inside of a Rohloff hub looked like? 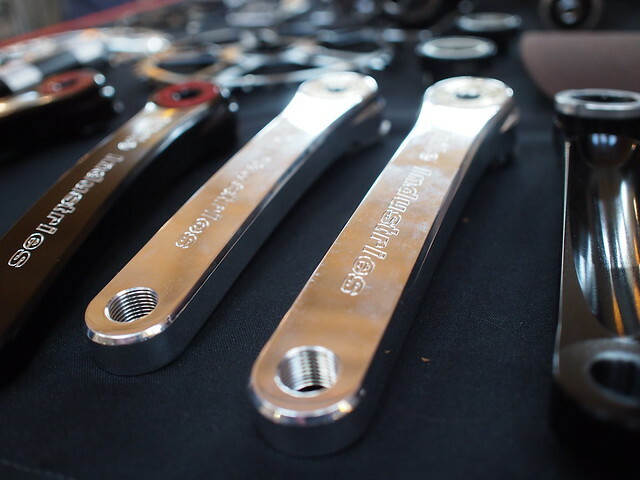 White Industries had a lot of different parts on display, they were really nice, especially the highly polished cranks, I rather fancy a pair. 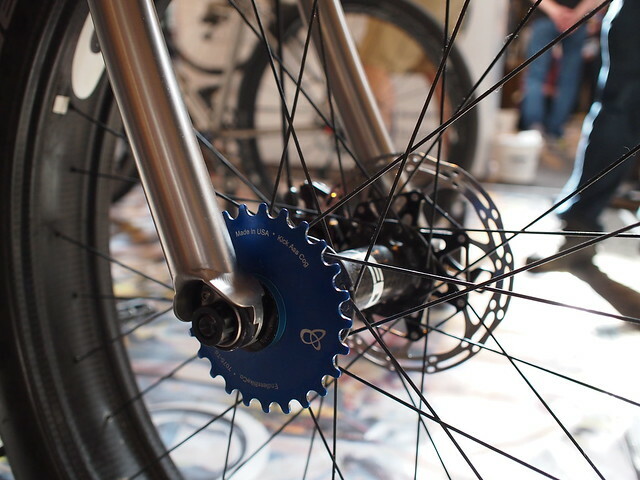 As is often the way their parts were used on a lot of the custom builds on display, they just look so “right”. 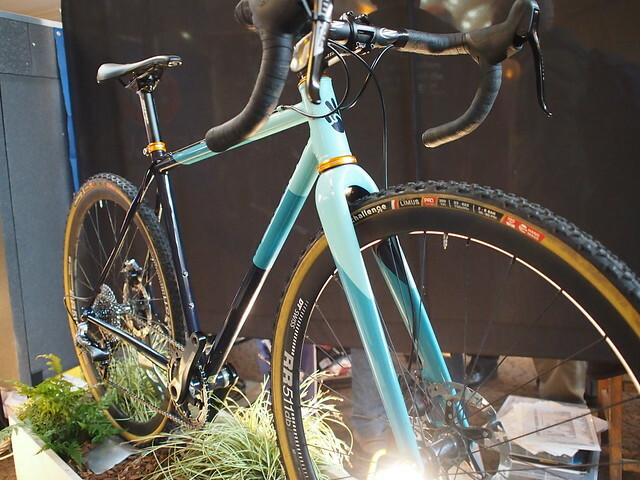 This Mercredi CX bike was really nice. 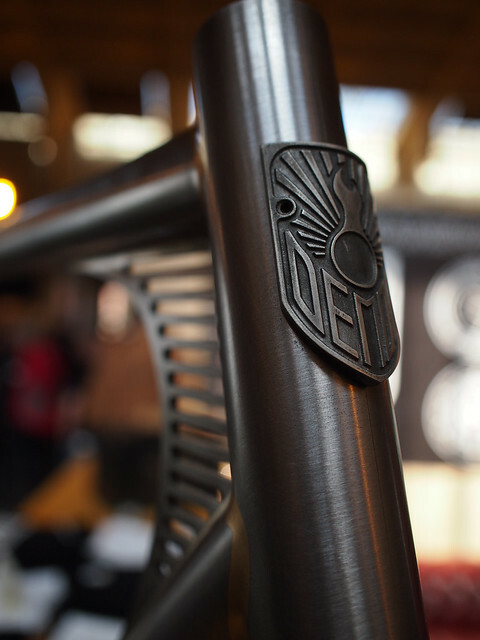 Demon had this amazing frame on display.